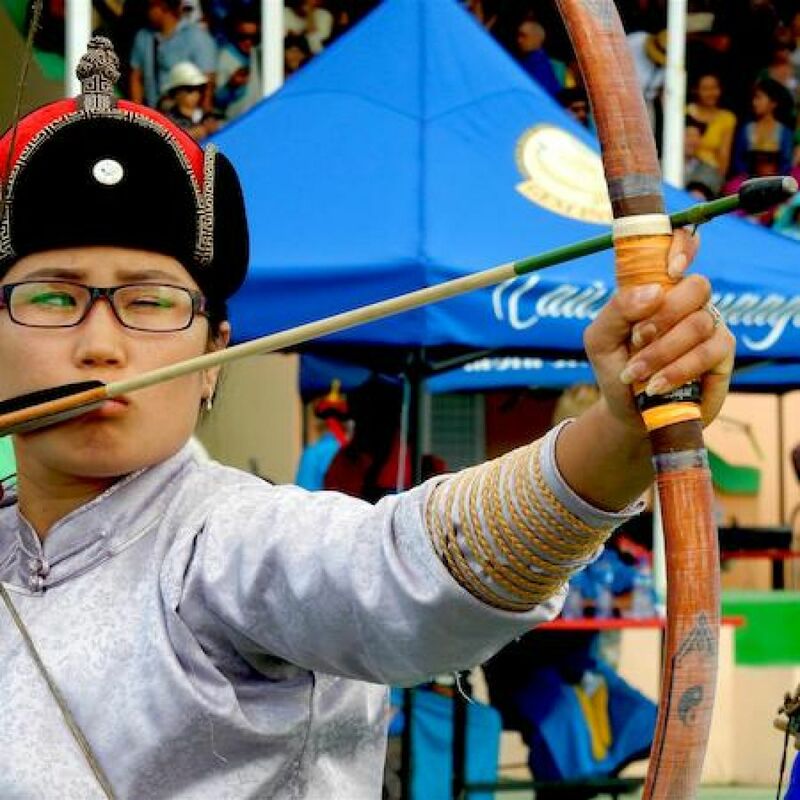 Female archers are not only raising eyebrows— they’re raising hopes that all of Mongolia’s Olympic style games will be open to women once again. 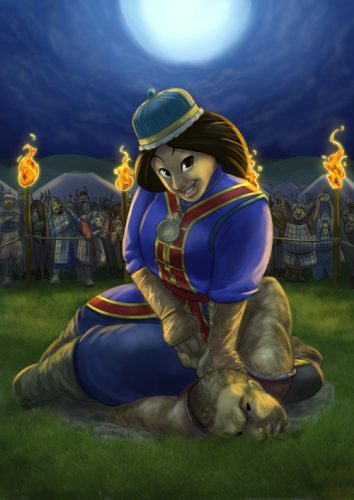 In Mongolian culture, “as soon as there’s a woman who is clever, who is a good leader, she is also a good archer”. Naadam is an annual festival in Mongolia featuring competitions of the "three manly sports": wrestling, horse racing, and archery. Traditionally women would do all these things, but currently they can only compete in archery (and young girls in racing). In which Julie "La Maupin" d'Aubigny, and Catalina "The Lieutenant Nun" de Erauso have a friendly wager.